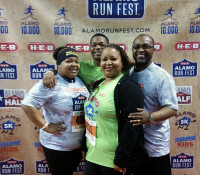 The Alamo Run Fest is continuing to grow into one of the largest health, fitness and wellness events in the city. We invite your business to be a part of the excitement of our 7th Anniversary event at the 2019 Alamo Health & Fitness Expo. 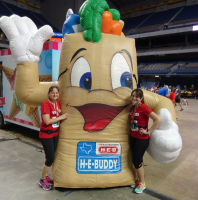 Thousands of runners and walkers as well as family and friends are expected to attend the Expo which takes place inside the Alamodome. Event participants are required to pick up their race packets and bib numbers at the Expo. On Sunday, the Expo stays in place to become part of the post-event festival! 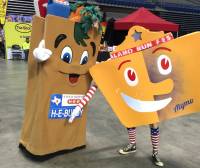 The Finish Line for all events is directly adjacent to the Expo area inside the Alamodome. The 2018 Expo had over 45 exhibitors participating in the 6th Anniversary of the event. It is anticipated that expo space will sell out in 2019. Updated 2019 Expo Info, Rates, etc. Coming Soon...Check Back.